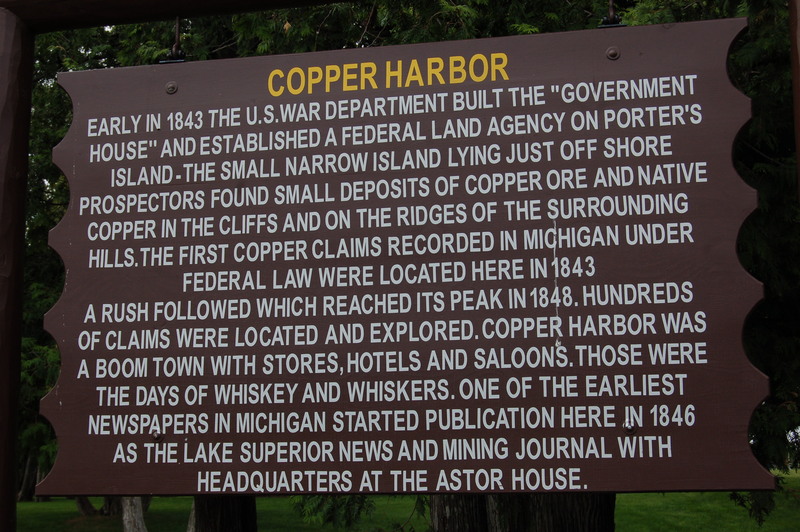 Copper Harbor is the northernmost point in Michigan (excluding Isle Royale), found at the tip of the Keweenaw Peninsula in the Upper Peninsula. This former mining town on Lake Superior is a lot quieter than it used to be, but visitors will find it to be a paradise for outdoor adventure, scenic views, local shopping and dining, and history. 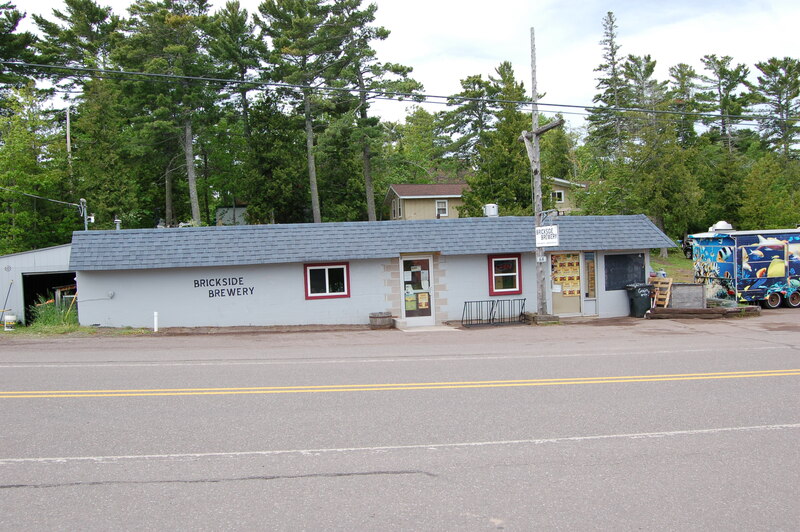 Over the years this has become one of our favorite spots to visit, as we enjoy the relative quiet here compared to Marquette or Munising. 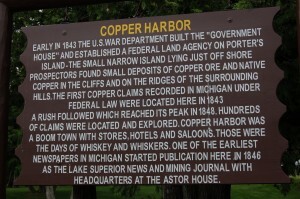 We’ve put together a list of 12 Things to Do in Copper Harbor, with options that should please everyone. 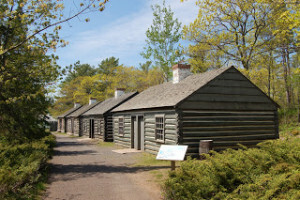 Whether you want to explore a historic fort or historic lighthouse, track down mine ruins on the back roads, dine, drink and shop, or try your hand at kayaking, hiking or mountain biking – Copper Harbor has you covered! 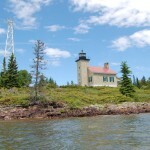 Enjoy this look at 12 of our favorite things to do in Copper Harbor, Michigan. Brickside Brewery – A smaller brewery that recently celebrated its fourth anniversary, Brickside produces well-regarded beers including Stone Ship Stout, Park Bench Porter, and UP IPA. 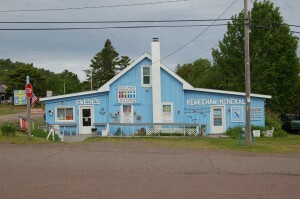 They frequently host live music and have a food truck next to the building that sells fish. 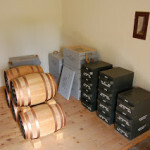 Find out more about their hours of operation and all special events by checking out their Facebook page. 64 Gratiot St. 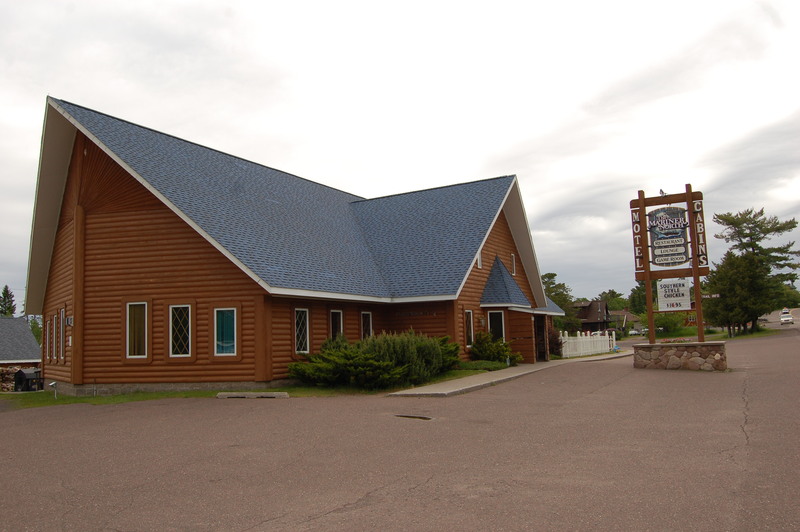 Explore the back roads – Once you turn onto a dirt road off of US-41 or M-26, you never know what kind of adventure awaits in Copper Harbor. 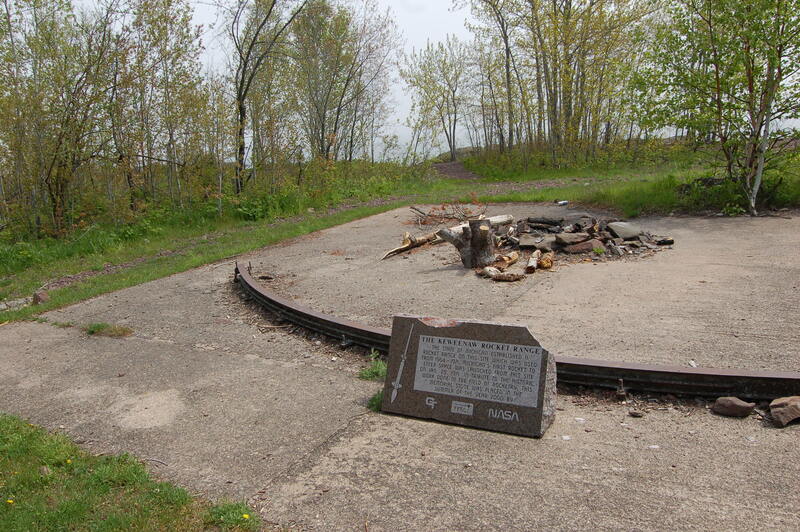 We enjoyed a trip out to the Rocket Range and learning about the area’s history with NASA, while others enjoy heading to Horseshoe Harbor (Mary McDonald Preserve) or High Rock Bay. 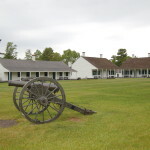 There are plenty of former mining sites to explore, including the Mandan ghost town and the Clark and Starr Mines. 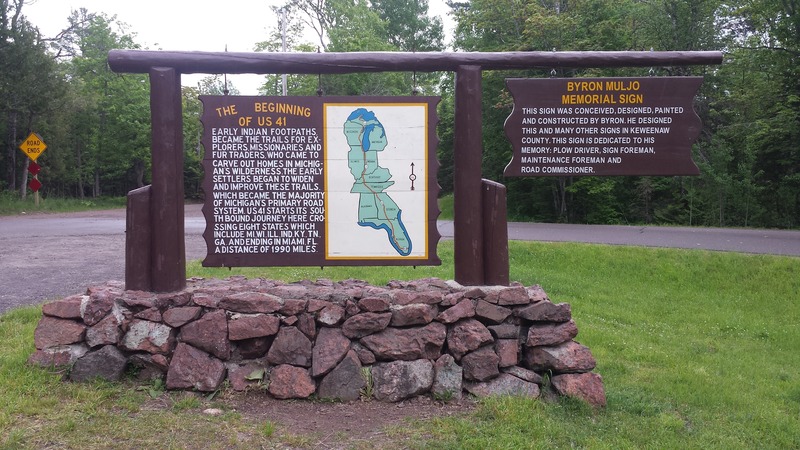 Brockway Mountain scenic drive – One of the most beautiful views in the entire Upper Peninsula comes from the top of Brockway Mountain’s west bluff. 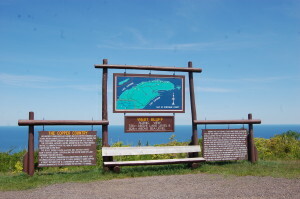 From there, you can see Isle Royale in the distance on a clear day. 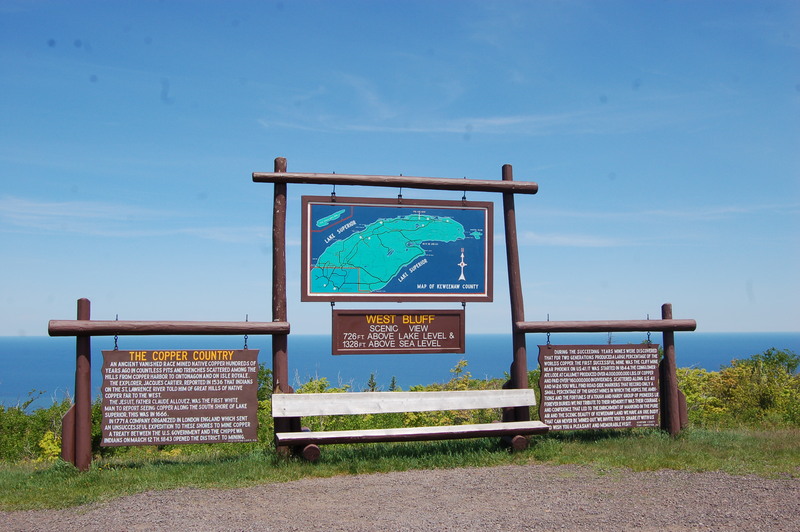 The area is popular for birders and mountain bikers, and at its highest point is 720 feet above Lake Superior and 1,320 feet above sea level. 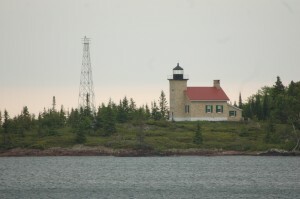 The entire road runs almost nine miles, from Copper Harbor to Eagle Harbor. 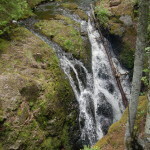 Manganese Gorge Falls – This easily accessible waterfall is a 45 foot drop into a narrow gorge at a spot where Manganese Creek is barely five feet wide. 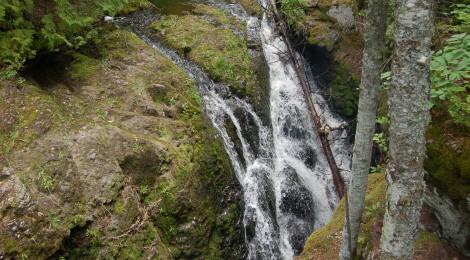 It is best viewed in the spring or after heavy rain, and you can see video in our longer post about the falls. From downtown Copper Harbor, head south on Manganese Rd., passing the Lake Fanny Hooe Campground then head uphill and look for the sign and small parking area. 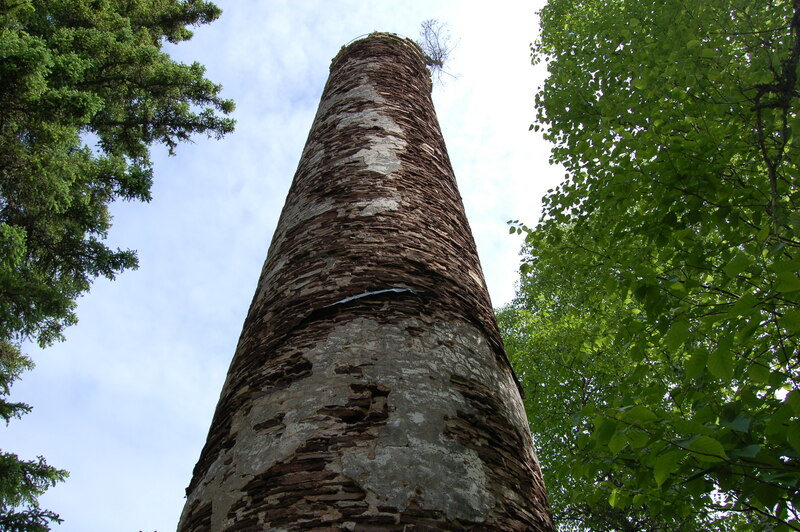 Estivant Pines – This more than 500 acre nature sanctuary helps preserve what is believed to be the last virgin white pine forest in the state. Some of the trees are 130 to 150 feet high, and there are more than 80 bird species that have been spotted in the sanctuary. There are 2.5 miles of trails that wind through the “Cathedral Grove loop” and the “Memorial Grove loop.” Follow the same directions as Manganese Falls but continue on Manganese Rd. a few more miles, following signs for Estivant Pines. 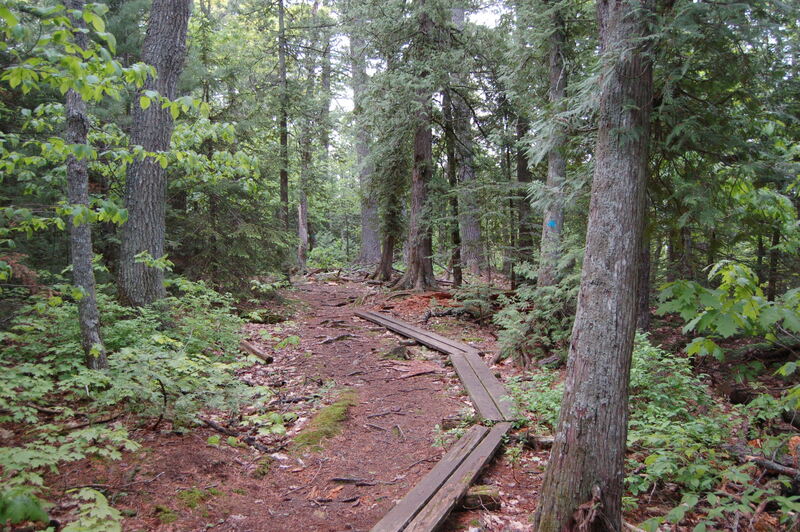 Mountain Biking Trails – Copper Harbor is home to 32 miles of trails, often regarded not just as some of the state’s best but as some of the best in the Midwest. Check out the Copper Harbor Trails Club (http://www.copperharbortrails.org/) or the International Mountain Biking Association page (https://www.imba.com/epics/copper-harbor-trails) for more information about trail difficulty, scenic views, and upcoming events and races. 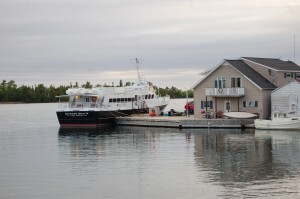 The Mariner North Resort and Harbor Haus – As a year-round resort, The Mariner North not only offers lodging but also features some of the area’s best food at its restaurant. Fresh Lake Superior trout and whitefish are available, as you dine alongside a mix of locals and fellow travelers. http://www.manorth.com/ 245 Gratiot St. Harbor Haus is located on the waterfront and is well regarded for its amazing fish dinners and amazing views of Lake Superior. Food runs on the pricier side here and reservations are recommended as it often gets quite busy. http://www.harborhaus.com/ 77 Brockway Ave.
Shop local – A visit to Copper Harbor isn’t really complete without seeing what kinds of copper souvenirs are offered from local shops like Swede’s Gift Shop & Keweenaw Minerals (US-41 at 4th St.). The Laughing Loon (240 1st St.) is another great spot to look for gifts. 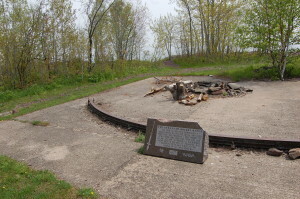 Explore mine ruins – The Clark Mine ruins can be found off of Manganese Rd. on the way to Estivant Pines. Not much is left there but the smokestack still stands tall beside the trees. The Delaware Mine, 12 miles south of town on US-41, offers self-guided underground mine shaft tours of a copper mine that dates back to 1846. 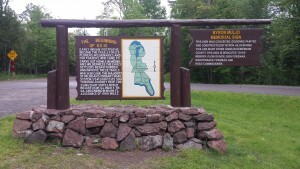 The remains of the Central Mine and a “ghost town” of sorts can be found a little farther south on US-41 from Delaware.